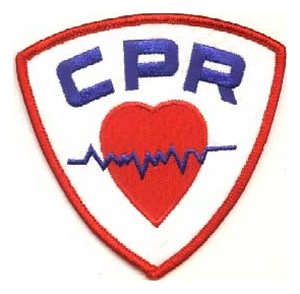 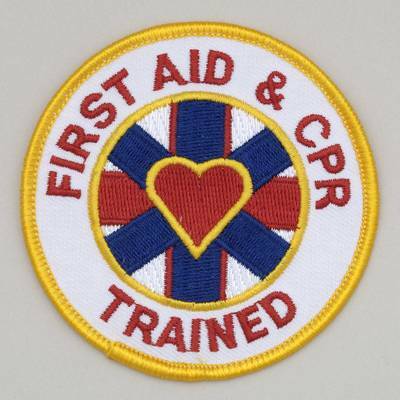 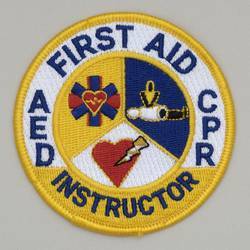 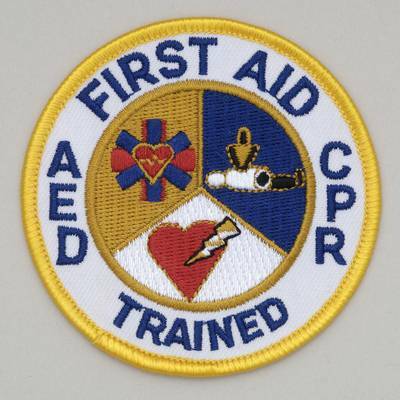 "CPR CERTIFIED" Embroidered Patch - 3" Diameter Uses Gold, Navy Blue and Red on a White background. 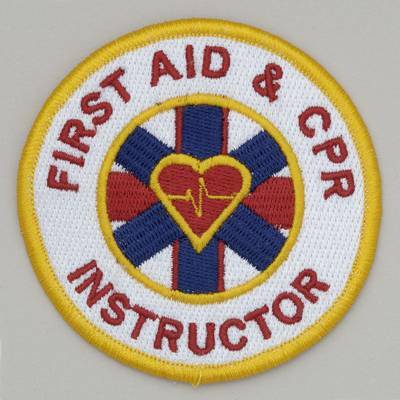 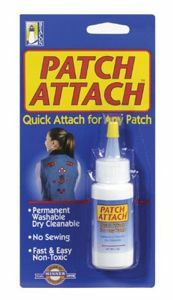 You completed your training now let them know with this professional quality patch. 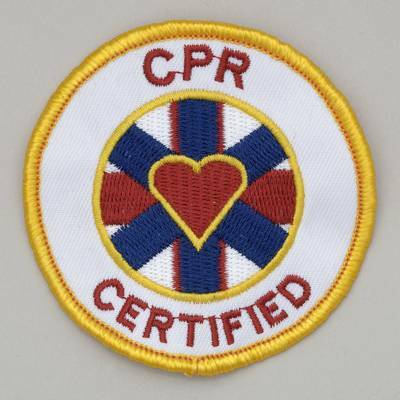 Our CPR certified patches look great.